Not everyone is a fan of Valentine’s Day. Some are sour about love. Some are bitter from relationships past. Some still think love is sweet but are alone and lonely this year. We here at Madtini Research Labratories have put together a little cocktail that is bitter, sour, sweet and salty – just like love. Instead of just grabbing a bottle of vodka today let’s celebrate the freedom of being single. Combine gin, lemon juice, lime cordial, grenadine & bitters in a cocktail shaker filled with crushed ice. Feel free to crush the ice with a hammer, a bat, a stiletto heel or anything else that comes to mind. Shake vigorously. It is especially effective if you think about how much you’d like to shake your ex or Cupid or the cutesy couple down the hall that are always mooning over each other. 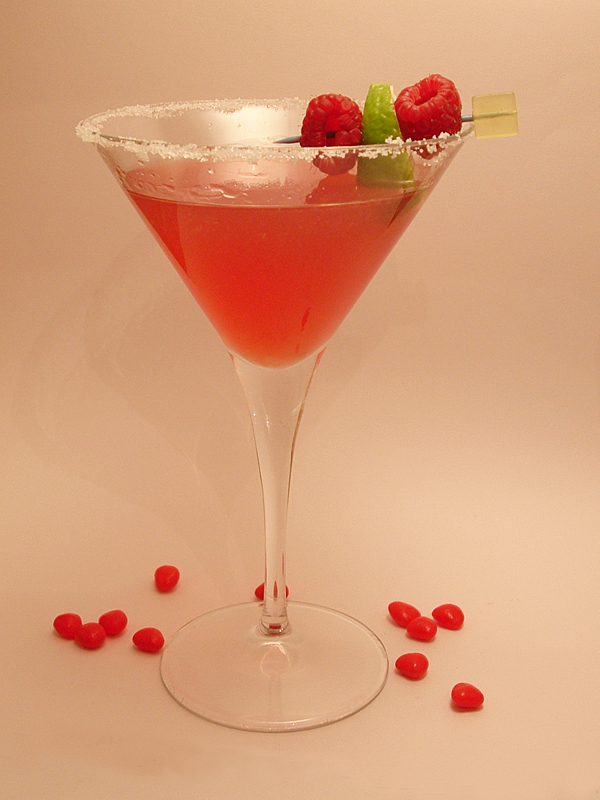 Strain into a cocktail glass that is rimmed with salt and garnish with raspberries & a mint leaf.